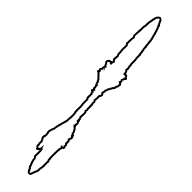 Kjarr Glaive "King" is an Insect Glaive Weapon in Monster Hunter World (MHW). All weapons have unique properties relating to their Attack Power, Elemental Damage and various different looks. Please see Weapon Mechanics to fully understand the depth of your Hunter Arsenal. This weapon has 20% Affinity and 270 Fire damage. This weapon has Sever Boost. Kjarr Glaive "King" is a special Insect Glaive weapon that can only be obtained through "The Fury of El Dorado" Kulve Taroth Siege Event quest, and cannot be upgraded. Kjarr weapons are "Incandescent" weapons that are obtained by triggering AT Kulve Taroth's "Fury" mode.